Eternally Board is a board gaming podcast and YouTube show that focuses on the heavier issues in the industry (social issues, community issues, publishing issues, etc.). The goal is to provide a show that is unique and relevant in an ever-crowded field of board game podcasts and shows, and that celebrates diversity in this growing hobby. Co-host Trey Chambers is a board game designer and high school senior English teacher from Houston, TX. He is a life long gamer, video games and board games. About 10 years ago he was introduced to the hobby board game scene by none other than Settles of Catan (of course) and has been hooked ever since. His first published board game, Argent: The Consortium, was released in 2015 and was a hit with both gamers and critics. His second release was Harvest was released last year. His third game will be published by Level 99 and is titled Empyreal: Spells & Steam. Co-host Charles, a gamer for the entirety of his life, was first introduced to the Euro gaming scene with Empire Builder when it was brand new in the late 1980s. Since then he clawed his way through an Ameritrash era led by Guillotine and Heroclix, the intro to victory point phase in Caracassonne and 7 Wonders, and struggled with identity during his Tichu years. Luckily, maturity Through the Ages has led him from the Terra era of Mystica through Mars into the Eternal Board beyond. Charles believes the future of the industry will be bright, and will not be written in the 3rd person. In this episode, Eternally Board discusses BGGcon 2018! Experiences, favorite and least favorite things about the con, and top 3 and bottom 3 games of the show! In this episode of Eternally Board, they discuss their favorite board game strategies, along with their Top 3 games they win the most at. As usual, they end the episode with takes on recently played games. 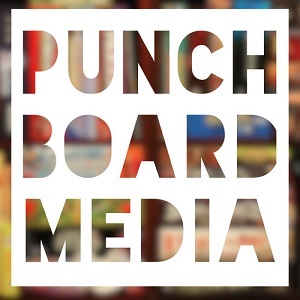 In this episode, Eternally Board discusses their least favorite game mechanics and why they are terrible, along with their Top 3 worst mechanics overall. As usual, they end the episode with takes on recently played games. Eternally Board #21: Theft or Inspiration? Is board game idea theft becoming more common place? In this episode of Eternally Board, we discuss this topic with fellow game designer Kevin Nunn, along with our Top 3 derivative games. In this episode, Eternally Board takes a look at the integration of app technology with physical board games. A video game designer, Keith Turkowski, joins them for this interesting discussion! In this episode, Eternally Board talks about Pick-up and Deliver games, including Trey's new game Empyreal: Spells and Steam, now on Kickstarter! They also go through their top 3 Pick-up and Deliver games and discuss what they've been playing lately. Eternally Board just released a new episode! This one is about Style vs. Substance in gaming. They also go through their top 3 aesthetically pleasing games of all time, as well as what they've been playing recently. In this episode of Eternally Board, they have special guest rabbi Gideon Estes on to talk about religion in gaming. They also go through their top three board games with religious themes and discuss what they've been playing lately.